Back to my regular programming of travel content, shall we? 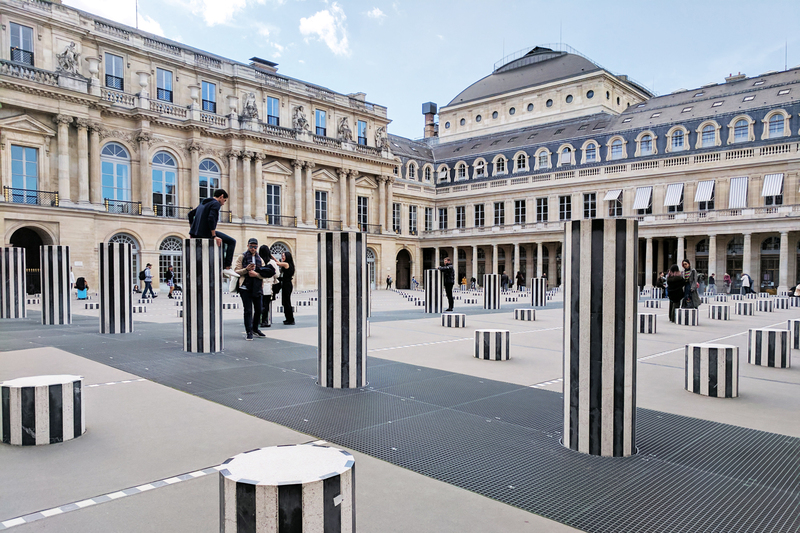 Palais Royal in Paris might be overrated and taking photos there is totally cliché but... I had to! Not to mention, there are plenty of fun things to do around there. Jardin du Palais Royal is absolutely beautiful, it's always busy but there is something calming about it. It is lined with unique vintage shops and boutiques, as well as the infamous Café Kitsuné. And just across the street is the Louvre. Traveling in a simple black outfit with sneakers is my absolutely go to (products linked at the bottom of this post). Classic, chic, comfortable... you simply can't go wrong! Grommet crop top from F21. Black denim leggings c/o PacSun. Classic black Sheffield leather watch c/o Daniel Wellington.